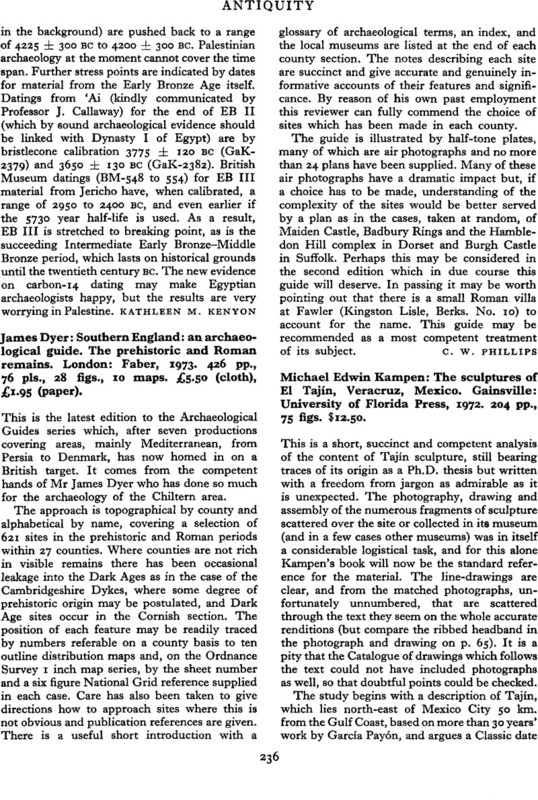 James Dyer: Southern England: an archaeological guide. The prehistoric and Roman remains. London: Faber, 1973. 426 pp., 76 pls., 28 figs., 10 maps. £5.50 (cloth), £1.95 (paper).